Hi everyone! I’m excited to be back after a few weeks. I hope you have had happy holidays and that you were able to spend time with your family and friends. With the beginning of the new year, comes the beginning of diet season. Ladies, we are in the midst of craziness when it relates to all of the diets that are advertised to us on a daily basis. We have diets like Beach Body, the Keto Diet, Weight Watchers and Jenny Craig. All of these are what I call desperate diets. Maybe you didn’t eat as clean or lean during the holidays as you should have or even wanted to and now you need to shed a few pounds. Many people run to these desperate diets for help only to be let down a short time later. I want to share with you the BEST diet out there. This isn’t the diet that you ‘try’ for a week or two and then quit because it isn’t working for you. This isn’t the diet where you find yourself hungry. This diet is what I call the Consistency diet. It’s the kind of plan that you do consistently, over a period of time. Where you are at the beginning of next year is going to be reflective of what you do consistently throughout this year. What should we do under the consistency diet? For more detail on each of these plans watch this video. I’ll be the first to say that the consistency diet can seem overwhelming but that is where I come in! Helping ladies is what I do! If you are in the middle Georgia area, I recommend you contact us at The Pink Physique (478) 254-3220 so that we can come up with a failproof consistency plan that will work for you. I also recommend not going at this alone. Even I need to hire a coach from time to time to help me with accountability and to have someone to talk to when things just aren’t going as planned. 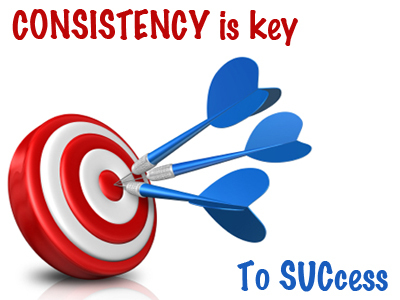 Get started on your consistency diet today! 3 Comments on "The Best Diet for Weight Loss for Women"
I’m trying to find your three day mail plan to get started, Having a little difficulty finding it.